Various causes account to snoring. Though the causes are different, the possible effects are almost the same, causing serious threats to the health and lifestyle of the snorer. Hence, it is very important to diagnose the cause of snoring closely and then decide on a treatment for the same. The treatment and the causes differ with different people. Some might snore only when they have a nasal congestion, in such cases, the cure is very simple and easy like inhaling, using nasal sprays, sleeping changing positions etc. Nevertheless, if snoring while sleeping affects you so much that you do not get up fresh the next morning, then it might be better that you consult a doctor and talk about your snoring issues. A surgery might be an option that the doctor suggests in case of serious snoring. He might suggest an adenoid removal surgery or adenoidectomy as a cure to the habit of snoring. Adenoids are a mass of tissues that are located at the back of the nose. They are a part of the immune system and produce anti-bodies to help fight infections. At times, they become self-inflected such that the presence of the adenoids in the air passage becomes a hindrance. This condition leads to snoring in kids. There are a number of adverse effects when the adenoids become swollen. Some of them are breathing difficulties, sleep apnoea, snoring, difficulty in swallowing, dull and tired mornings, etc. During the adenoid removal recovery, the child will be relieved from all these problems. The adenoid removal recovery is a crucial part after the surgery where utmost care is to be taken, to avoid further complications in the health conditions. The surgery takes place for about an hour, but the patient will have to stay in the hospital for the whole day until and unless all the necessary tests are done before and after the surgery. The kid has to be on a liquid diet during adenoid removal recovery, as he would find it very painful to swallow food. Soft food, juices and water are the necessary foods that help the kid in keeping fit post the surgery. See that the kid takes a lot of rest, since the kid would become tiresome after the surgery. Infections should not affect the kid during the adenoid removal recovery. This would only lead to bleeding profusely and further complications. 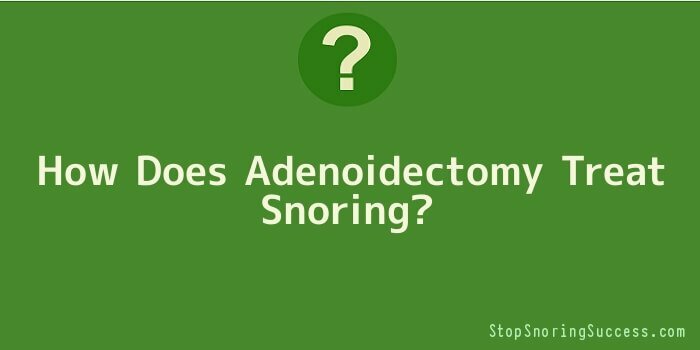 The adenoidectomy would most probably be a good option that would eventually stop the habit of snoring.